Students attending Summer Honors get to participate in a variety of activities, such as this drawing class with Dr. Michael Marling, associate professor of visual arts. This June, The University of North Georgia (UNG) will host some 50 high-achieving local high school students who have distinguished themselves among their peers to provide them with a weekend full of leadership training, team-building activities and college preparation seminars. The program is open to students who have completed their junior year, have at least a 3.5 GPA on a 4.0 scale and who have the recommendation of at least one of their teachers; typically, the students who attend the program are within the top 10 to 15 in their respective classes. Activities during the event are led by UNG student counselors that have gone through a rigorous application process to determine their academic success, leadership potential, "outdoorsiness," and integrity. 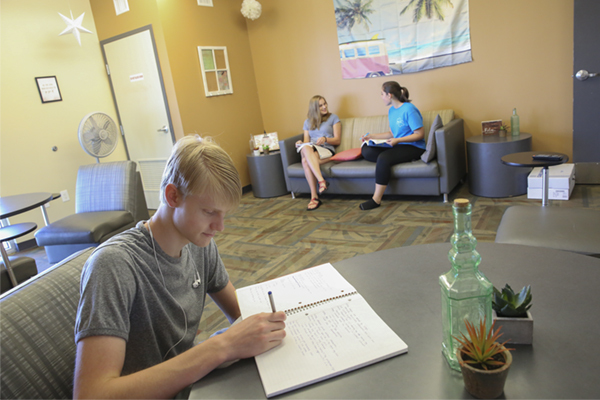 "Thanks to the program coordinators' efforts about 15 percent of students that enter the Summer Honors Program end up matriculating at UNG," said Dr. Robb Sinn, professor of mathematics and director of the Summer Honors Program at UNG. Counselors like Maria Westerfield, a recent biology and Honors Program graduate, are often heavily involved in the UNG community, and thus, says Sinn, are able to lead by example, not lecture. "Being an RA and a mentor for the Honors Program really helped me discover this passion for helping students," said Westerfield, who was recently accepted as the 2016 Summer Honors Program Lead Counselor. "Camp counselors can have such a monumental impact, and I knew I wanted to be a part of a program where I could possibly make the same sort of impact on others." While counselors lead the high school students through activities like a 100-foot-long slip-n-slide, rock climbing at Mount Yonah, or lock-ins, UNG professors assist in the program's educational side. "We get professors to teach our academic units from all over: biology, psychology, sociology, history – we have professors from across the board," Sinn said. Sinn said professors introduce concepts that, as high school students, many attendees have probably never experience before, which gives students an opportunity to experience what college academics are really like. The program also offers a strong research component. 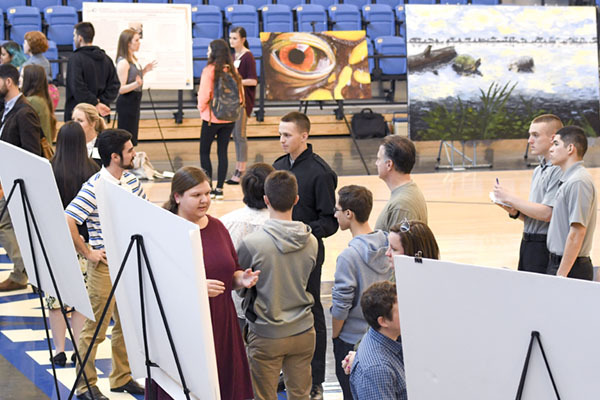 This year's participants will be guided in environmental science research by Kelly West, lecturer of biology, and will have the opportunity to experience UNG's Geographical Information System technology during an outing to the Gainesville Campus. In addition, students participate in the program's college writing program. Prior to attending Summer Honors, registrants receive a copy of the novel "Ender's Game" to reflect on and write about. The book, which follows a group of young people through an intense military academy, resonates with the group of potential leaders enrolled in the program and helps facilitate discussion about leadership styles. At the end of every Summer Honors session, students are recognized for their achievements at an awards ceremony. The program offers several academic and leadership awards, but the Most Outstanding Student award recipient must excel in both areas to receive a $2,500 scholarship to UNG and automatic acceptance into the school's Honors Program. Attendees can attend the Summer Honors Program through scholarships funded by local school districts or at their own cost. This past year, President Bonita Jacobs approved a plan that establishes two scholarships for UNG faculty and staff dependents, providing $1,400 out of the total $1,500 cost. 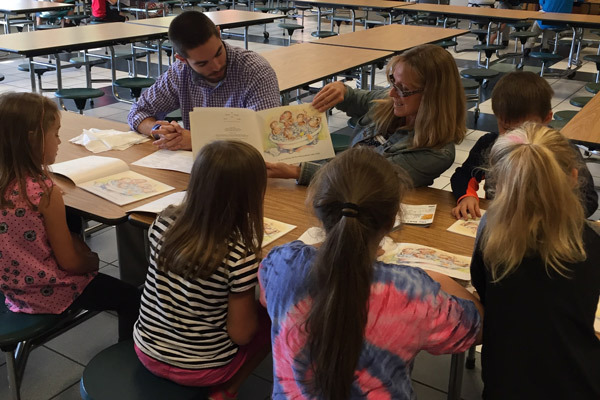 "Through the leadership curriculum, students gain such a huge personal growth," Westerfield said. "Most students come with absolutely no interest in the outdoors or a total mental block against the elements we have them participate on. These are the students that conquer fears and accomplish more than they thought was possible for themselves." The 2016 Summer Honors Program takes place at UNG's Dahlonega Campus from June 19 to July 1. More information about the Summer Honors Program is located on the UNG website.